The T-19 was supposed to be the new staple tank of the Red Army. It had to replace the T-18 (MS tank), but fulfill relatively ambitious criteria, such as being able to cross a ditch without a tail at top speed, and having a formidable gun to engage enemy tanks. However, due to a lack of technical expertise and resources available for fledgling Soviet tank production, it was simply obsolete before it was even produced. In 1931, a small but unknown number were produced before it was halted in favor of the new T-26 which was said to be easier and cheaper to make. The T-19 tank. Photos are rare as a result of its sudden cancellation in the early stages of production. The T-19 was to become the main vehicle of the mobile subdivisions of the USSR. The main requirements for the T-19 were: 1. The ability to overcome the majority of field fortifications and wire entanglements without the aid of a “tail”, and do this at maximum speed. 2. Firepower should ensure superiority on the battlefield over all known combat vehicles of similar mass. 3. Armour should protect its crew from rifle and machine-gun bullets at all distances, and from the fire of 37 mm guns beyond 1000 meters. According to the technical specifications, the tank’s mass should not be more than 7.3 tons, with its maximum speed reaching 30 km/h on ‘good’ soil with a 100 hp engine, an armament of at least a 40 mm main gun and two machine guns, and armor was to be 18–20 mm thick – All of these targets were not met, with the exception of the request for two DT machine guns. Production of the T-19 was assigned to a rather young and relatively inexperienced Semyon Alexandrovich Ginzburg, who would learn much from this project. The suspension of the T-19 became that of the French Renault NC. The T-19 was longer than the T-18, which improved its performance without “a tail”, it also decreased any longitudinal vibrations in the hull. A side-view of the T-19. The angled armor is clear from this view. 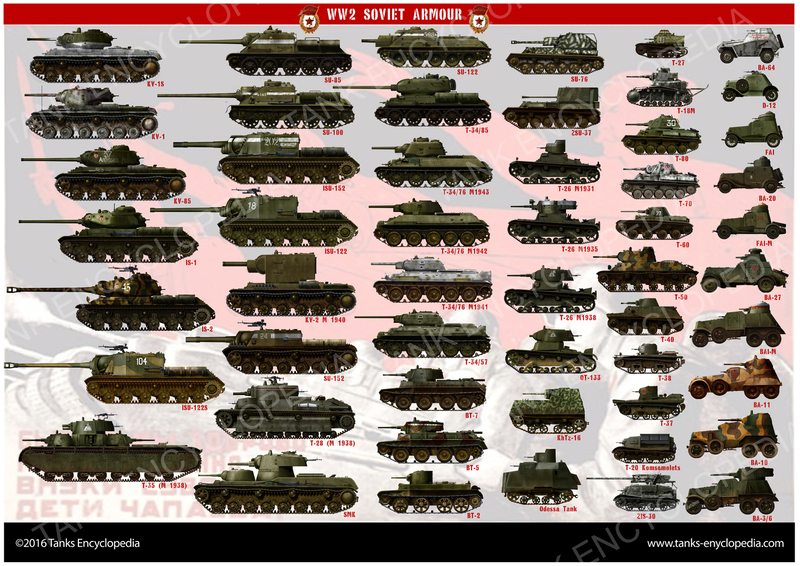 Experts often state that sloped armored plate (for increasing the protection of the tank), was first used on the T-34. That is not the case. The fact is that the designers could not exceed the permissible mass of the T-19, therefore they used a maximum thickness of 16 mm of armor. The shape of the hull would therefore be critical in terms of protection. Successful construction of the T-19 depended on sloped armor, such as that proposed to M. I. Tarshinovym (who was already occupied in KB KHPZ with the production of the T-12/T-24), by Ginzburg, which made it more likely for bullets and projectiles to ricochet rather than penetrate. This is where the idea of sloped armor perhaps came from. The main armament of the T-19 was the mod. 1930 37 mm semi-automatic gun, along with two DT machine guns, one located in the frontal portion of the hull near the radio operator, and the other was in the turret. Tanks Encyclopedia rendition of the T-19 on trials. Photos show no markings or armament being mounted. The turret was the same as the T-18. The cannon could not be mass-produced for a time, and by the time it could, it was used on the BT series. The planned, domestic, six-cylinder air-cooled engine, with a power of 100 hp was not produced; and the installation of the larger high-speed motor “Franklin” (95 hp) required reprocessing the construction of the gearbox, on-board transfers, and even housing of the engine, as it was much bigger. The T-19 required ball bearings for the turret, which at that time were not produced domestically, and had to be bought abroad. Cost of this vehicle varied with the installation of chemical warfare equipment, flotation devices, and other accessories. Interestingly, the T-19 became the first tank, specially designed for the actions under the conditions of chemical warfare, for which it was equipped with plenum ventilation – capable of neutralizing phosgene, hydrocyanic acid, chloropicrin, carbon monoxide, and toxic smokes for at least three hours, after which crew could perform combat missions in gas masks, or, after replacing filter, act without them for another 3 hours at most. The T-19 was provided with flotation equipment using pneumatic or “skeleton” floats. There was initially the desire to equip the tank with two detachable propellers for propulsion through the water using the floating designs of naval engineer B.S. Smirnov, but the T-19 was instead equipped with a special “water tractor” system, which was created in 1931. For battlefield surveillance, the tank no longer used simple view slots. Initially, there were plans to use “stroboscopic” instruments of the type used on the tank made by Grotte, the TG-1, but bulletproof glass of the “Simplex- triplex” type, with easily removable clips, was used instead. A frontal view of the T-19. The turret is turned to one side. The decision of the Revolutionary Military Council session of July 17 to 18, 1929, gave the defense industry a complex problem: to create a new military vehicle in a very short time – the “T-19 basic tracked tank”. GKB OAT was tasked with its design that autumn. The end-of-development date was January 15, 1930, but this proved to be optimistic. The numerous denunciations and complaints of the designers, and also the influence of the leaders of the RKKA (Workers’ and Peasants’ Red Army), heavily impeded the design process, and several partial prototypes were simply dismantled. In one of the complaints, an “unknown patriot” complained about the designer’s desire to use “… helical gears in the transmission of the T-19 instead of spur-gear, which is the direct proof of their sabotage… “. These sorts of complaints came from the military, too; one of the commanders required that the basic tank would be equipped with “… elbow-shaped paws with the shafts through the walls to provide motion in snowy conditions and mountains… “. 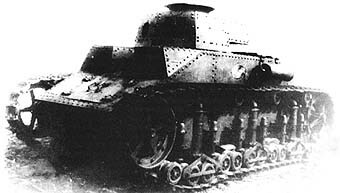 Nevertheless, despite the delays, inspection of the finished prototype took place on March 1, 1930.Production of first T-19 began in June 1931, and toward the end of August, tanks were being delivered. However, the characteristics of the tank proved to be those below those planned, the weight was above the specifications (7.6-8 tons), and the production was extremely complex. All these problems were finally ended when it was discovered that the ‘Vickers’, the 6-ton tank, was quicker, and cheaper. 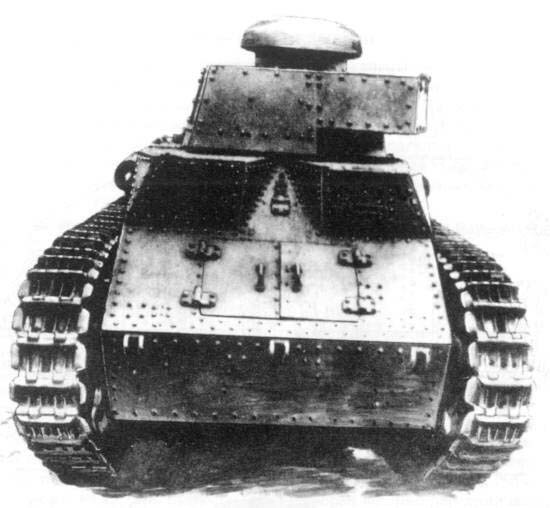 So, in 1931, the work on T-19 was deemed so problematic, that a decision was made to end production and switch over to the 6-ton, more commonly known as the T-26 in Soviet production. The fate of the T-19s is unknown, and it is highly likely that they were dismantled or scrapped. Total production Unknown but small numbers. An unverified source claims two were produced.